JULY 21st!! New Mini album release. Put it on your calendar!! 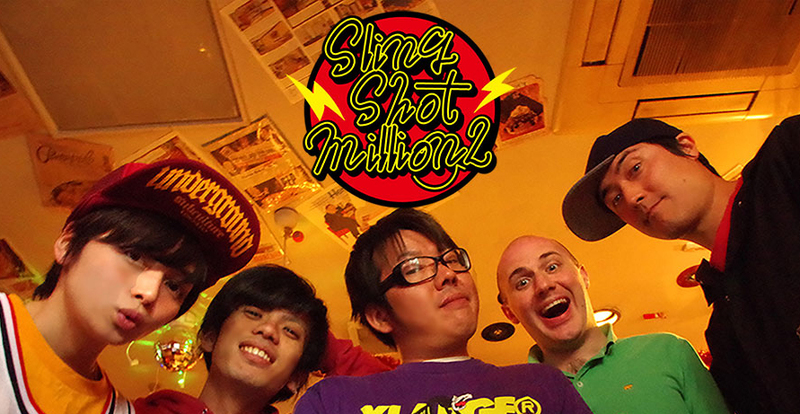 Silngshotmillion2 will be releasing their mini album, that will have 7 of their original songs. Professionally mastered and recorded. The release and live show will be held at Shimokitazawa`s Rokudemonai yoru. So if you want Merch on this band, like T-Shirt`s, Badges, and their latest album. Head on Over to Shimokitazawa Rokudemonaiyoru. Previous PostChris Larke. Adding strings from his pops.Next PostA Yui Session.